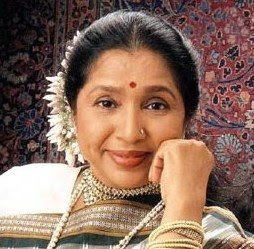 Legendary singer Asha Bhosle has a wish – she wants to breath her last while singing in front of her fans. The 76-year-old, who has recorded nearly 12,000 songs, revealed this while taking part in an open interview at Dombivili here last night. “I don’t have any complaint against any one but my only desire is that I should breath my last while singing before my admirers who love me,” she said before a packed audience. This desire stunned the audience which was kept spell bound in the course of the interview organised at a function here, about 50 km from Mumbai. The interviewer was popular compere Sudhir Gadgil, who asked Bhosle several questions related to her life and career spanning several decades. “Had they attacked me from the front it was OK and I would have faced it with a smile, but they stabbed in my back which was unexpected,” an emotional Bhosle said, without elaborating. “It was only on account of the well wishes of millions of my admirers that I could succeed in the profession,” said Bhosle, who made her playback debut way back in 1948,and has won several awards. “How will I repay my gratitude (to fans), I am unable to understand,” said the veteran singer who got her first big break with the film `CID (1956).